We all know you have the strength and will to lead, but which title would suit you best? 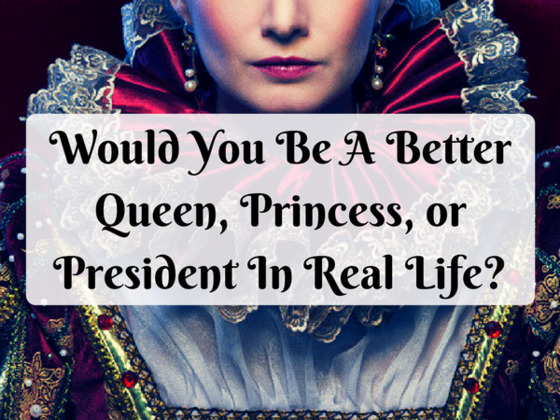 In just a few questions we will determine if you would make a better queen, princess, or president. Make sure to pass this quiz on to the powerful women you know! 80% Of Animal Lovers Can't Name All Of These Animals! Only People With a High IQ Will Be Able To Read These Erased Words! Can You? Which Continent Are These Wild Animals From? Which Element Represents Your Family's Love?